Rejection is a part of everyday life. In the adult world, rejection may be as serious as a break up or a missed job opportunity, or it can be as minor as someone disagreeing with our idea. 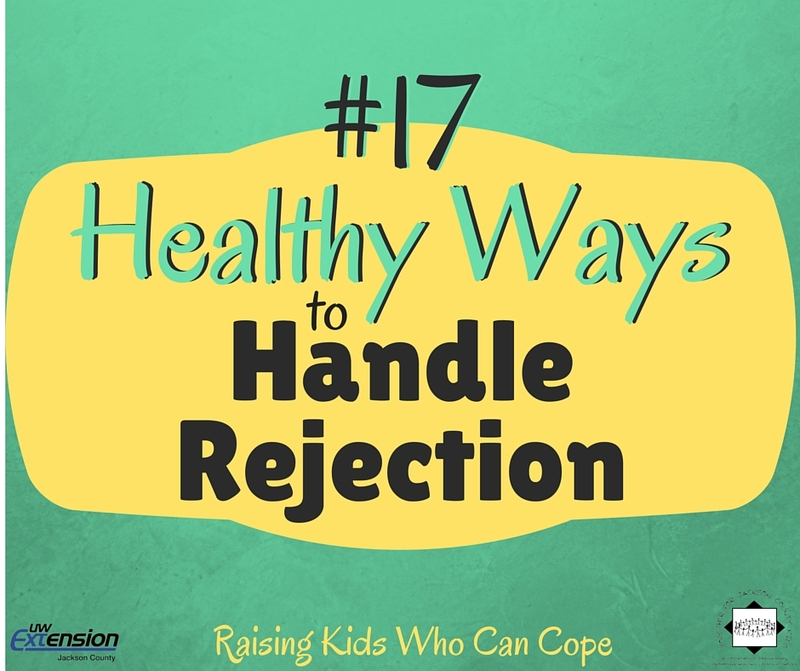 We choose how to handle both small and large rejections, and how we role model our responses sets the tone for our children. We’ve all seen and recognize unhealthy responses. However, healthy reactions have three main parts. First, it helps to acknowledge our disappointment. Depending on the seriousness of the situation, it may take some time to work through our feelings. This is normal as long as it doesn’t keep us from our daily lives. Next, evaluate the experience. In some situations, we learn from what happened and improve our performance next time. In others, the other person may simply have been looking for something different than what we had to offer, and it wasn’t about us at all. It is important to recognize the difference between opportunities for growth and experiences to merely put behind us. Finally, we prepare ourselves to try again whether it’s selling a product, building a relationship, or applying for a job. We learn from the earlier rejection and try again to reach our goals. Rejection can be a challenge, as well as an opportunity for reflection and growth. The more we model healthy responses, the better lessons our children will learn. This entry was posted in Raising Kids Who Can Cope and tagged coping skills, disappointment, emotions, youth. Bookmark the permalink.